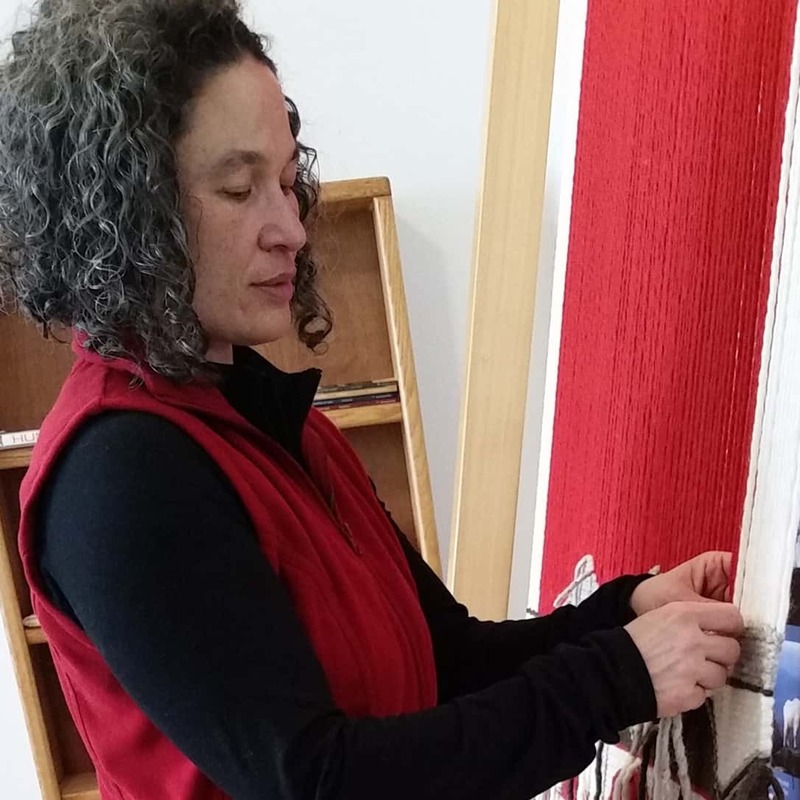 sa’hLa mitSa – Dr. Susan Pavel first learned to weave in the Coast Salish style during the summer of 1996. Her master teacher was subiyay – Bruce Miller of the Skokomish Nation. Each summer she would take three full months to produce one ceremonial blanket and then gift it to various elders of the tribe. By the fourth year it was suggested to sell her creations and she started along that path. By the seventh year she was invited to teach weaving classes and has taught well over 1500 students to date. She has participated and later solo exhibited six museum exhibits. With public and private collectors across the nation she continues to weave, when the spirit calls her to weave – she is obedient to the call. She celebrates this year of 2016 with jubilation marking 20 Years of Coast Salish Weaving for her and more importantly – SQ3Tsya’yay – Weaver’s Spirit Power.